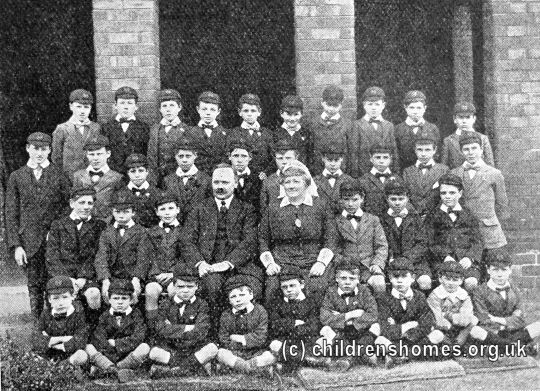 St Giles' Home for Boys was opened by the Waifs and Strays Society in 1902 at 23 Chester Street, Wrexham. The property had been acquired after the Society had received the sum of £500 from a charitable trust set up under the will of Welsh railway engineer, Benjamin Piercy. The home was officially opened on December 16th, 1902, by Lady Penrhyn, with the Bishop of St Asaph conducting a service of dedication. The home could accommodate 20 boys aged 7 to 10 years. 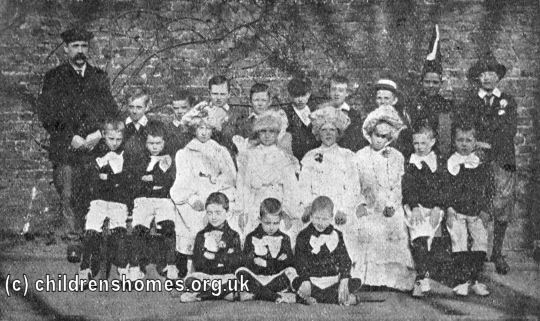 On 30th March, 1904, the home was accredited as a Certified School and could receive boys boarded out by the workhouse authorities. The boys at St Giles' clearly liked to dress up for occasions such as an Easter Monday entertainment in 1908. 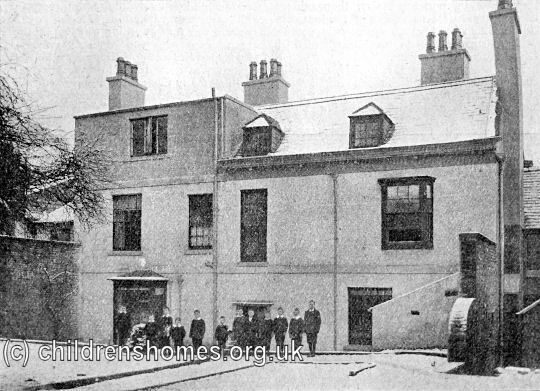 In 1913, plans were made to build a larger house to replace the existing St Giles' premises. A site was found on Rhosnesni (or Rhosnessney) Lane, Wrexham, and the foundation stone for the new building was laid by Lady Harlech on November 28th of the same year. The home came into use at the end of 1914 and was formally opened on June 4th, 1915, with Archdeacon Fletcher performing the dedication. The new premises housed up to 36 boys aged 7 to 14. The Society's homes often kept pets for the children's interest and enjoyment. The boys at St Giles' were a little unusual, though, in keeping pet jackdaws. The annual Christmas nativity play also provided an opportunity to get togged up. 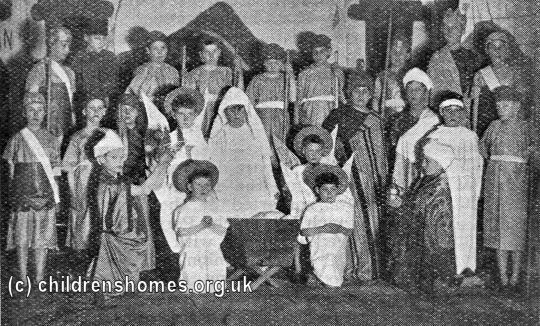 The boys' home closed on March 14th, 1941, with most of the residents relocating to the St Boniface's Home at Sampford Peverell. Three weeks later, the home was re-opened as a war nursery. 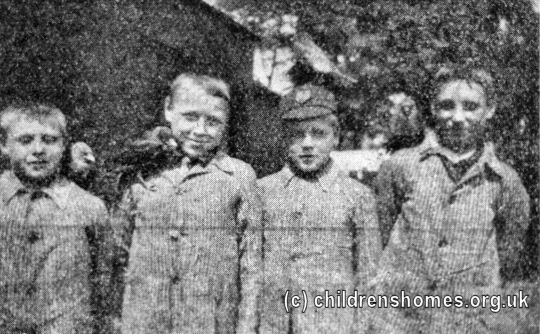 After the war, the home reverted to providing care for older children. St Giles' continued in operation until the 1980s. Former St Giles' Home, Rhosnesni Lane, Wrexham. The Chester Street premises were used during the First World War to house Belgian refugees. From the 1920s until 1978, the building housed the local Register Office. In more recent times, it has been occupied by a firm of solicitors. The Rhosnesni Lane property is believed to now be in private residential use.